An artist is hired to design the cover of a horror novel—and finds himself inadvertently trafficking with the supernatural. Twentysomething David Lennon’s return to his hometown of Lompoc, California—a trip undertaken in hopes of forgetting the girlfriend who has just dumped him—leads him to a familiar beach, where he discovers a dead woman’s body. Evidence of a ritual killing, and David’s inability to disclose the whereabouts of the aforementioned girlfriend, Sienna Madden, result in his arrest and brief imprisonment on suspicion of murder. Pike (The Cold One, 1995, etc.) keeps the story moving, relying on lengthy exchanges of dialogue juxtaposed with deftly shaped scenes presented in increasingly suspenseful sequences. As David reacquaints himself with old friends and lovers, his experiences begin echoing details of that horror novel’s plot, involving a beautiful vampire named Cleo, and her lovers, both alive and undead. David can probably be forgiven for not making the connection sooner, since he’s baffled by continuing phone messages from the absent Sienna (who, local police and FBI insist, was the body on the beach), when not tumbling into bed with cheerleader-turned-hoyden Julie Stevens, evading the aggressive charms of nymphet Mary Pomus (with whom he has a history of sorts), and puzzling over a high-school buddy’s inexplicable suicide. If that sounds complicated, wait till you reach the bizarre dénouement, in which the perception that “This town is not what it appears” is confirmed by the discovery of a medical experiment that has crossed “the line between consciousness and matter,” the appearance of a bona fide demon, the explanation of who “Sienna” really was (is? 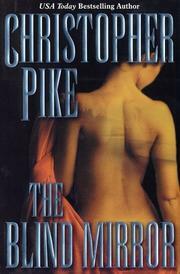 ), and a lurid final scene that reveals the meaning of Pike’s clever title. Overstuffed and not above occasional silliness, but a rattling good read, almost as entertaining as Stephen King in medium-high gear.